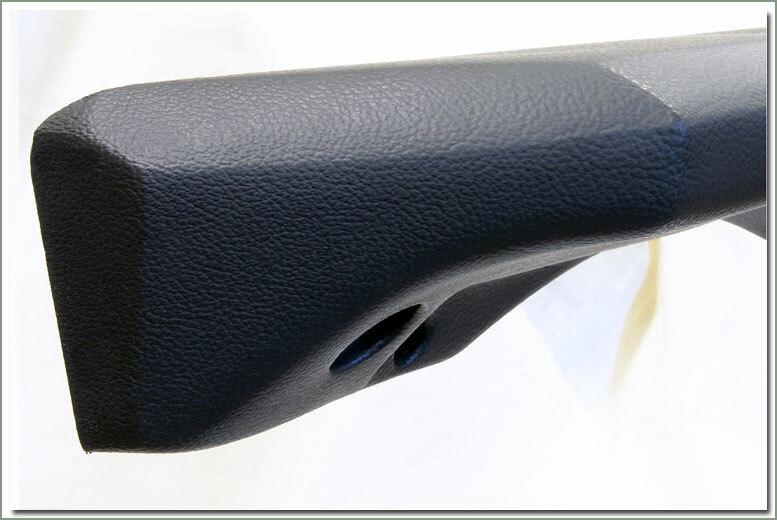 This is the perfect solution if you have a cracked or ripped dash pad. 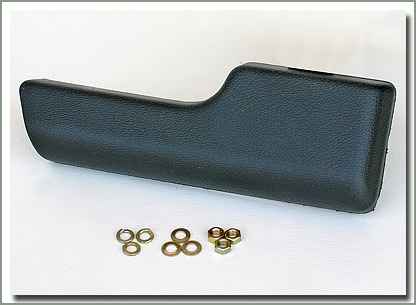 This great looking cover is made to fit right over your existing dash. 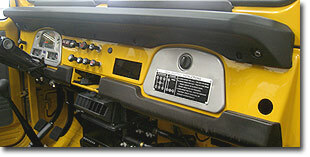 This dash pad is a vacuum formed vinyl cover with UV inhibitors to resist deterioration and fading. 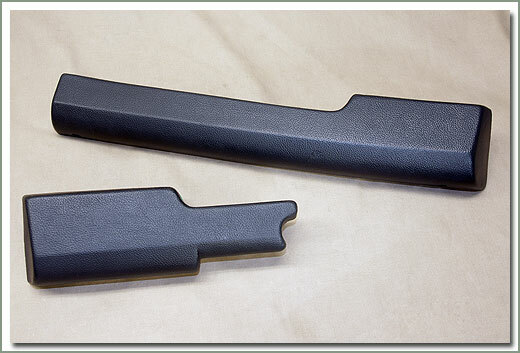 This dash cover has the same factory contours, textured grain finish that your factory dash has. It's an inexpensive solution to keep your Land Cruiser interior looking good without spending a fortune. Easy to install, comes with instructions. 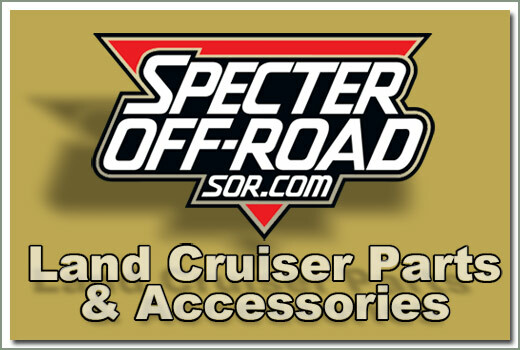 Specter offers you a complete line of Reproduction Dash Pads. These reproduction urethane pads are made to factory specs. Exact replica of the O.E.M. pad. Same quality at a reduced price. Fits all 1968-1984 40 Series. 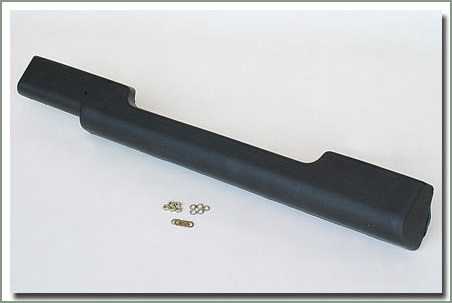 Fits 1968-10/82 40 Series - Made of urethane rubber. 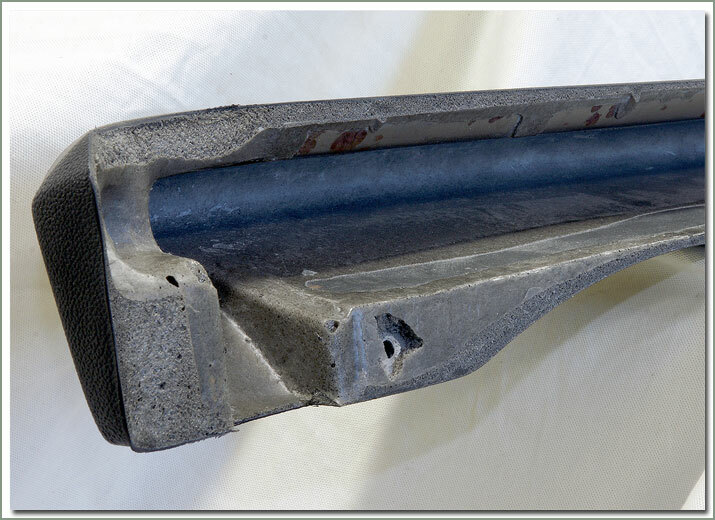 Stop your glove box from rattling! 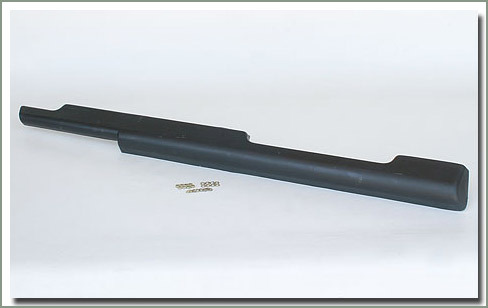 Specter now offers an aftermarket reproduction glove box weatherstrip to replace the factory part that has been discontinued by Toyota. 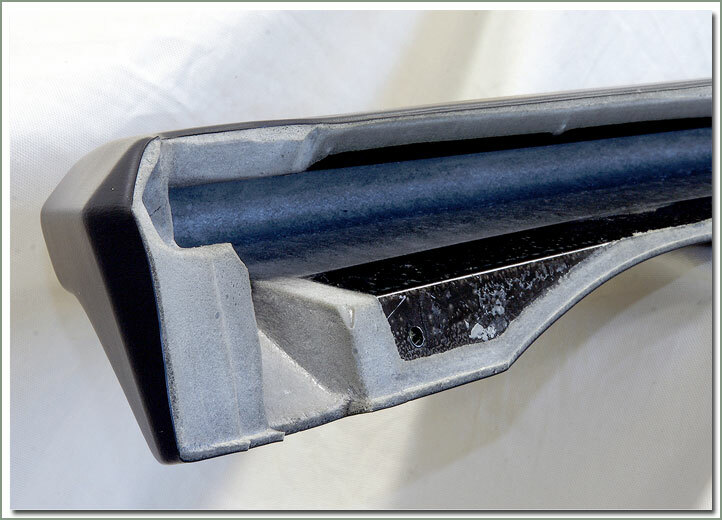 This weatherstrip has a self adhesive backing and is easy to install. 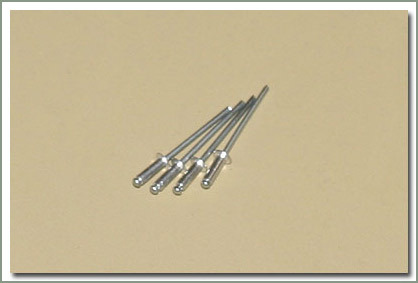 Fits 9/72-1984 40 Series - #172-12 dash cones are Not required - Order #172-15 mounting screws (x5) if needed - Does Not include retainer #172-13 or screws #172-24 (x9), order separately - Has a recessed location for dash pad light if yours is so equipped - You will need to open/cut to install #172-32 dash pad light. 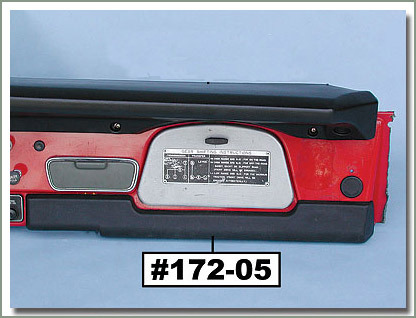 This is the perfect solution if you have a cracked or ripped dash pad. 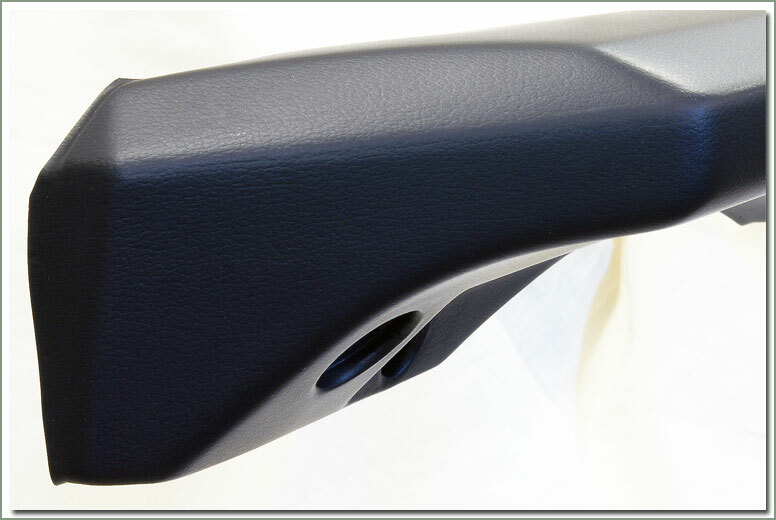 This great looking cover is made to fit right over your existing dash. 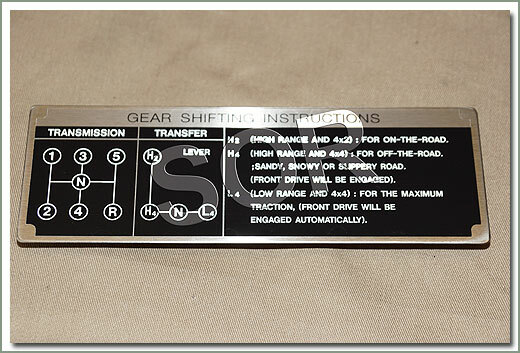 This dash pad is a vacuum formed vinyl cover with UV inhibitors to resist deterioration and fading. 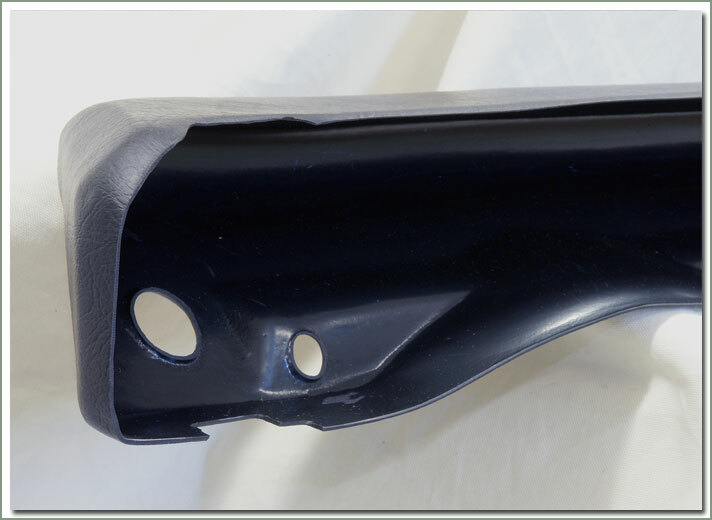 This dash cover has the same factory contours, textured grain finish and vent holes that your factory dash has. 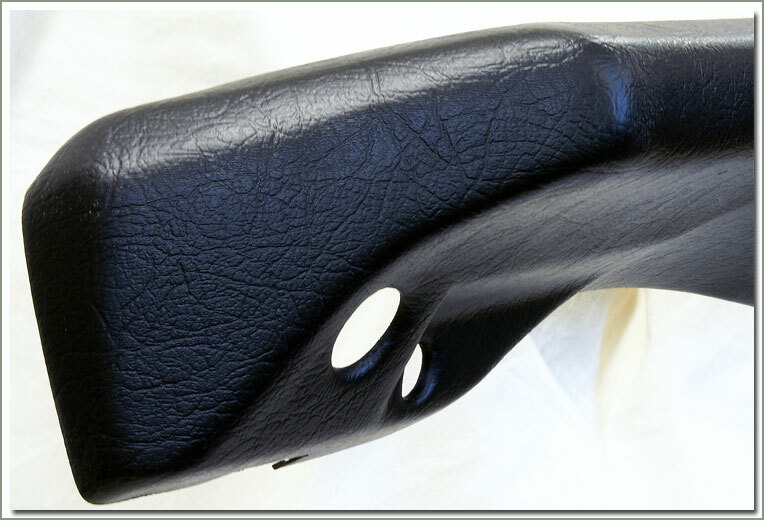 It's an inexpensive solution to keep your Land Cruiser interior looking good without spending a fortune. Easy to install, comes with instructions. 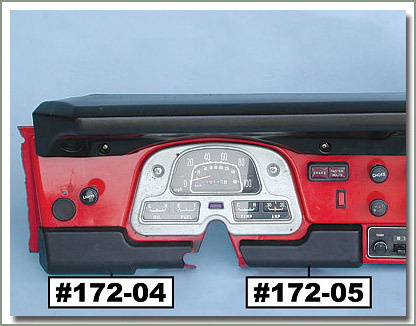 Fits 10/82-1984 40 Series with radio opening - 2 piece set - includes lower dash pad #172-4 & #172-5. Comes with installation hardware. 40 Series owners secure your glovebox. 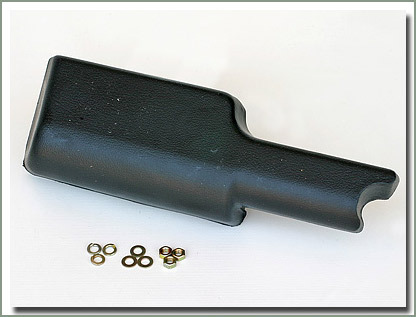 A lock for your glovebox is now available for your 40 series vehicle. 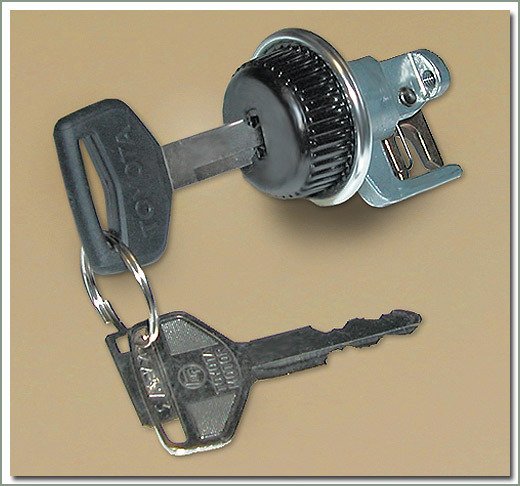 This lock comes with 2 keys and replaces the original knob without making modifications. 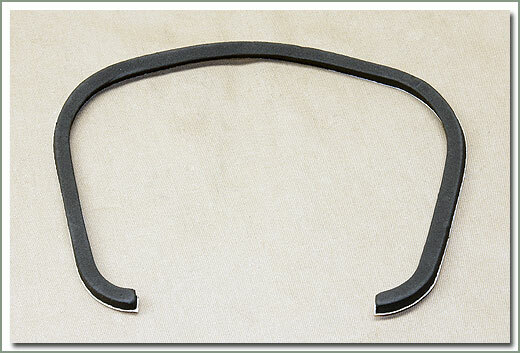 Fits 8/80 to 10/84 40 Series - Locking type includes keys.